Predictive Solutions' new SmartWork application was designed to resolve the challenges presented by the traditional and cumbersome paper-based job site safety process. 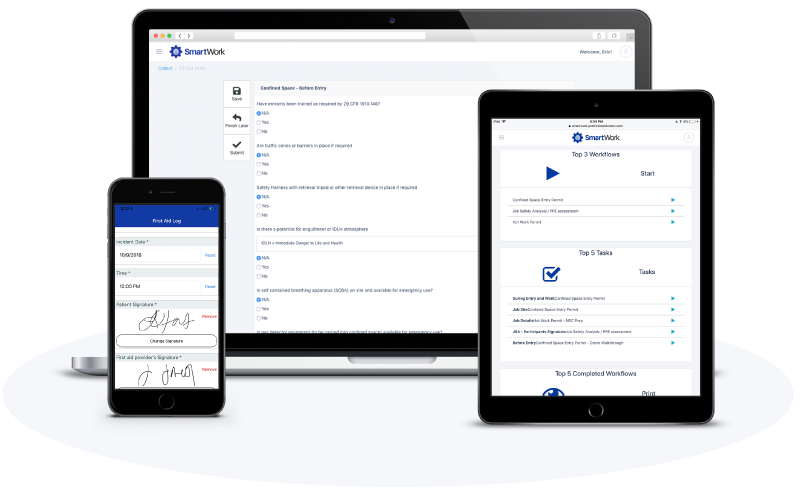 Safety professionals use SmartWork to quickly and easily transform any paper form into an electronic form for continued process compliance. Best of all — anyone can use it! Fill out the form to request a free 30-day trial of SmartWork today! Copyright © 2019. All rights reserved. Predictive Solutions is an Industrial Scientific Company.